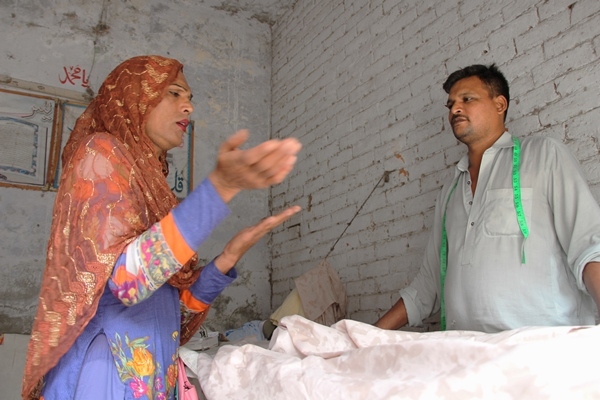 This is how my conversation began with Noshi, a 45-year-old trans woman previously known as Farrukh Naeem. Noshi outside the room where she has been staying for the last four years. Growing up in Shahdara Town, Lahore, during the 70s, she was considered a smart student in her class. Noshi detailed how back in those days there was no concept of tuition, or even explaining math formulas in detail. If a student had a question, it was up to them to find its answer, and she did not struggle in this endeavour. After matriculation, she continued her education to get a diploma from the Mayo Hospital Lahore in order to become a medical dispenser. 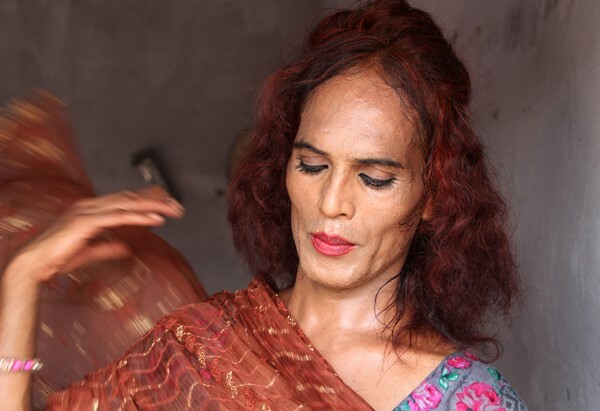 It was during those days that Noshi came out to her parents, revealing she was never a male and that she identified as a trans woman. This is when the world changed for Noshi. Cooling down milk for breakfast in a water drum. After a failed suicide attempt, Noshi decided to leave home and find a place where she would be accepted for who she is. “There, at least other people respected me for who I am; there was a life and a community I was part of. In short, after I joined the transgender community, for the first time in my life I felt happy as a human being. The weight I had been carrying for years was finally lifted. Pictures of Noshi with her transgender friends spread on the floor of her room. Noshi’s transition actually went quite smooth and took over eight years. Now that it was complete, she revealed she has no regrets and has never looked behind; at least not until she heard the news that her mother was diagnosed with Paraplegia. Noshi laying on a charpoy in her room, deep in thought. Noshi’s father was a well-known school headmaster in the area. Upon her return home, he still did not speak to her. 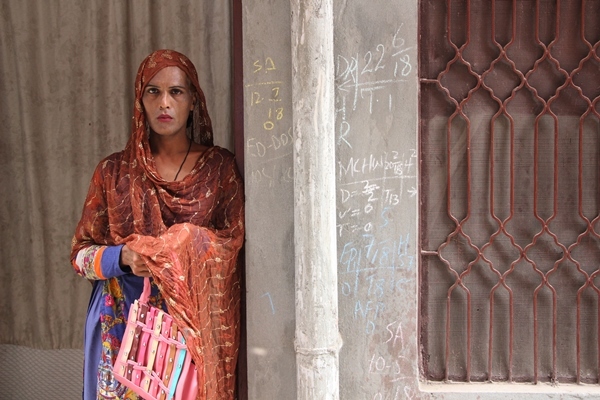 After the death of her mother, Noshi moved back with the transgender community. At the age of 30, she started performing at wedding functions and birthday parties to make a living. As she got older, she could not get more work pertaining to dancing and found no choice but to resort to begging. 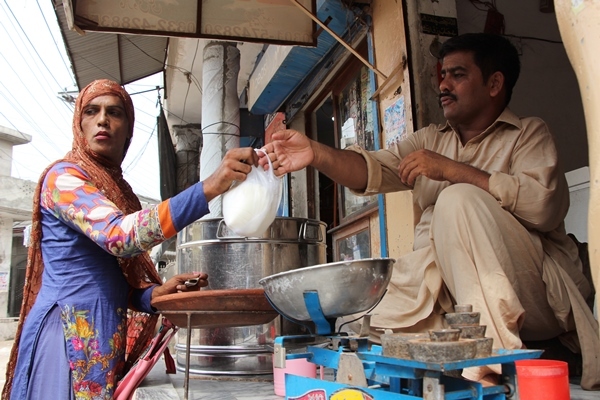 Buying milk from a nearby shop, in a community where the people have become her friends. Now, Noshi lives in a house with one room, which remains open for anyone who is struggling with a fate like hers – a life that carries only misery and fear. Noshi gives lessons to young people in the trans community, and helps them decide between the few limited options of living their life. She advises her juniors to school themselves and work hard. “No one is going to come for you until you don’t do something for yourself,” Noshi stated with a sigh. Noshi applying makeup as she prepares to go outside. It is believed that trans people have the power to bless or curse others, and they trade off this uneasy ambivalence. It is not the same as the power of magic used by others, because they are open; open to having a conversation where others are not. Firstly, people do not accept them on their terms. Secondly, even those who talk in their support tend to change completely when someone from their own family or community comes out as a transgender. These were the main reasons listed by Noshi, that forced her to leave and start anew. one of a very sad reality in our society. 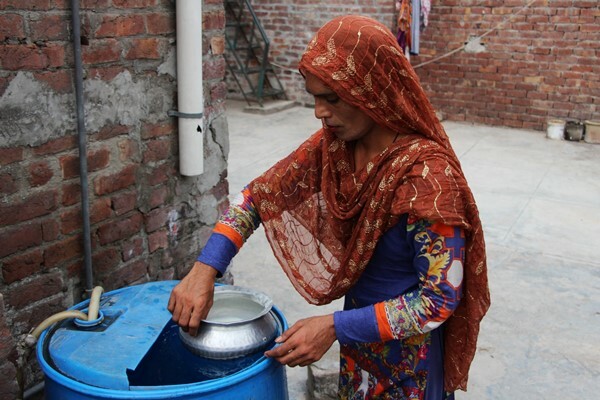 people never support transgender even the family members of those never accept them.